Dr. Robert Birenbaum’s priority is providing positive patient interaction and delivering exceptional service. Dr. B is a top rated eye doctor in the Plano-Dallas area. 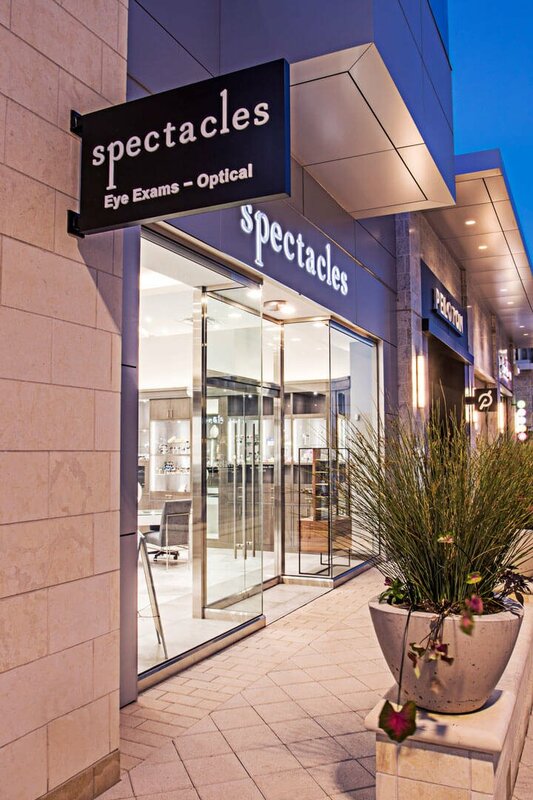 Spectacles Fine Eyewear is a renowned establishment that offers highly specialized optometric care services. Our clinic stands out from the rest mainly because of the experience, professionalism, and expertise of Dr. Birnbaums and his trained staff. When their knowledge is combined with cutting-edge technology, we make one of the optometric care services in Texas. At Spectacles Fine Eyewear, we put all our efforts into offering the most comprehensive optometric care services and eye exams for our valued clients. We have embraced amazing features of the modern-day technology, and as a result of that, we are able to treat our clients with 100% confidence. We maintain a customer-oriented culture at Spectacles Fine Eyewear. Individual attention is a crucial practice we entertain at our eye clinic. Each client is unique to us. This is why we carry out customized eye exams depending on the requirement of each individual. The perfect combination of our state-of-the-art equipment, professional staff (led by Dr. Birenbaum) and friendly approach helped us to emerge as one of the best optometric services in Texas. Our eye examinations can guide you to wear just the perfect eyewear and contact lenses to address your vision problems successfully. At our center, we offer the most extensive variety of services related to optometry. All-inclusive retinal exams and consultation, evaluations and treatments for a dry eye condition, patient education, designer eyewear, minor foreign body removal, post cataract and LASIK surgery care, etc. are some of the services we offer. Dr. Robert Birenbaum has been in private practice for more than 40 years, and such experience has helped him to emerge as one of the most esteemed Therapeutic Optometrist in the US. In fact, Dr. Birenbaum’s reputation is a valuable addition to Spectacles Fine Eyewear. Dr. Birenbaum is a National Board Certified professional in the field of ocular diseases management, and that adds more value to his professional career. Treating complex vision disorder and complex contact lens conditions are specialties of Dr. Birnbaum. He is graduated from Tulane University with Bachelor of Science degrees in both biology and chemistry. He earned his Doctorate in Optometry from the University of Houston back in 1969. Before moving to Dallas, Dr. Birenbaum specialized in geriatric optometry, in East Texas. Thanks to the extensive experience he gained with elderly patients, he became an expert in treating and diagnosing a broad range of ocular diseases. Serving the community has been part and parcel of Dr. Birenbaum’s life. He is an active supporter of the National Prevention of Blindness Society. Also, he was a President of the Lions Club. Dr. Birenbaum is a member of the American Optometric Association and the Texas Optometric Association. Most recently, Dr. Birenbaum adopted the Kidd’s Kids charity – founded and championed by top-rated radio personality and morning show host Kidd Kraddick. Dr. Birenbaum generously carried out complimentary eye exams and offered prescription eyewear for all the children involved with Kidd’s Kids. Dr. Birenbaum is a specialist in treating dry eyes. The most common causes of dry eyes – as per the experts like Dr. Birenbaum – are lipid malfunction and insufficient tears. To the delight of many individuals, we have a range of highly effective treatments such as HydroEye Soft Gel to address dry eye conditions successfully. The experience, knowledge and high-end technology we possess help us to get you the precisely matching contact lenses. Dr. Birenbaum will utilize his expertise when recommending the ideal design that complements the condition of your eyes and lifestyle. You can explore our designer eyewear collection and select the most suitable option with the assistance of our experts. Our designer collections comprise carefully selected, unique and trendy products under reputed brands such as Moscot, Tom Ford, Blac, Ronit Furst, Maui Jim, Zenka, Bevel, and Oliver Peoples. Great service and superb selection of quality frames - particularly Dita and Thom Browne which are my personal favorites.... read moreGreat service and superb selection of quality frames - particularly Dita and Thom Browne which are my personal favorites. Dr. Birnbaum is exceptionally thorough and accurate when prescribing the best fit for your lenses. They go out of their way to make the entire experience of updating your RX and new frames a pleasant one. Very professional and service excellent. I would recommend all my friends and family. Thanks for giving me a great experience. Great customer service and warm environment. Lauren is great! Glasses turned out wonderful. Selection of stylish frames is massive.